This time a top eight list from Daniel, who oversees Hong Kong On Film. 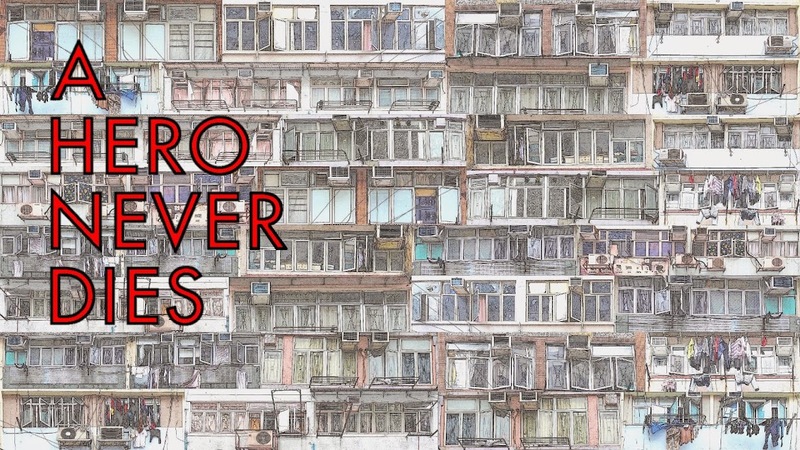 A blog that caters to a subject close to my heart, Hong Kong film locations. Utilising Google maps and street view photographs, Daniel works his way through various locations featured in a film, before moving on to the next movie. Sounds simple, and as a concept it is, but I can only imagine the hard work that goes into each post. I'm always eager to see what movie Daniel chooses to feature next, so that I can add to my list of locations to visit on my next trip to HK. Anthony Wong's barbers from The Mission is one I was desperate to stumble across, now thanks to you Dan, you've made everything so much easier to find. Can't wait! I'd imagine that very few people would argue against the inclusion of a John Woo film in a Top 10 list of Hong Kong cinema. Instead, the arguments would revolve around which film to include; with 'A Better Tomorrow', 'The Killer', 'Bullet in the Head' and 'Hard Boiled' being the likely candidates, vying for a place. 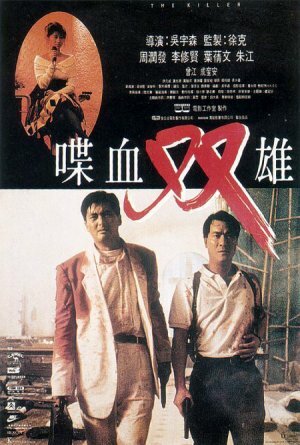 Personally, it really comes down to a choice between two films; 'Hard Boiled' and the film I have chosen. I'd grown up with practically no exposure to Hong Kong cinema, when I happened to catch handful of of films on TV in the late eighties. These films, along with Hong Kong centric episodes of Jonathan Ross's 'The Incredibly Strange Film Show' stirred my interest accordingly. However, not being resourceful enough to actively seek out more of these films, my interest could well have waned, had it not been for the VHS release of 'The Killer'.I'd heard next to nothing about the film when I bought it and shoved it in my video, but that was when I truly began falling in love with the cinema of Hong Kong. I remember sitting there in awe as something special was shown to me: this was cinema coming from such a different perspective to what I was used to, filled with dynamics, codes of honour and a blurring of conventions that was almost completely foreign to me. Then there was the action. I'd never seen its like, but I knew I wanted more: kinetic, precisely choreographed sequences, that leant the same weight to the firing of a gun, as was usually afforded to a character when they were delivering a line. This was also my introduction to Chow Yun-Fat, who is effortlessly brilliant in this role. Sure he hams things up at times, but he just oozes charisma and is amazing alongside a host of other perfectly cast roles, with Danny Lee, Sally Yeh, Paul Chu, Kenneth Tsang and Shing Fui-On fleshing out a great ensemble. Combined with the directing style of John Woo, Ching Siu-Tung's fluid choreography and Peter Pau's cinematography, the film earns its spot in my Top 10 on merit, as well as sentiment. Well, if 'The Killer' was always going to be the first film on my list, Ching Siu-Tung's directorial debut was going to be the second. The son of prolific Shaw Bros writer / director Ching Gong, he attended the Eastern Drama Academy (a Peking Opera school) where he studied kung fu, gymnastics and related disciplines; when not at school or spending time on set with his father, he immersed himself in martial arts novels. 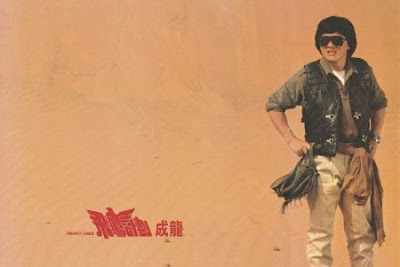 After paying his dues as a stuntman, then an action director, Ching Siu-Tung finally made his directorial debut (which he also co-wrote) in 1983, where he poured his passion for martial arts action, drama and fantasy on to the screen with absolutely glorious results. The film tells the tale of two men; Ching (Damian Lau) and Hashimoto (Norman Chu), who have been chosen to represent China and Japan, respectively, in the titular 'Duel to the Death'. This event has a long history and a great deal of prestige afforded to it, with martial artists from across China and Japan in attendance. However, all is not what it appears to be in this deceptively simple narrative, filled with metaphor and meditation on the nature of martial world. Beyond the charisma which Norman Chu instils in to Hashimoto (ably supported by Damian Lau, Flora Cheung and the equally enigmatic Eddy Ko), the use of location, lavish sets, a great soundtrack and lush cinematography add an epic quality to both narrative and production. Then Ching takes the opportunity to load his film with the minutiae that a passionate scholar of the genre can joyfully revel in as his creativity explodes on to the screen. Not only do we have the swordplay, wire-work and aerial choreography which he would become synonymous with, but there are also ninjas. Lots of ninjas. Using every ounce of his technical and creative skill, the director allows the facets of their methodology and mythology to be exploited and the result is an absolute treat; there's plenty of reversed footage, swift editing, animation, camera tricks, pyrotechnics, prosthetics and the undoubted skills of of the unknown performers in black. 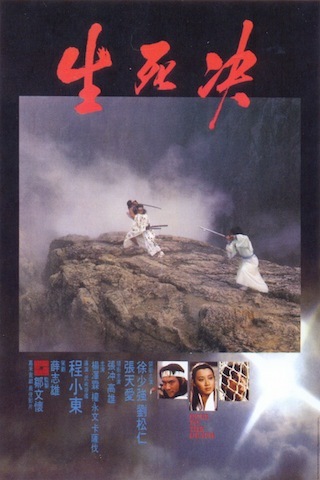 The twenty minute finale of the film equals anything I've seen in Hong Kong cinema as a spectacle, with an incredible a battle against ninja hordes, followed by the duel itself. It is an exhibition of how choreography, performance, cinematography, editing and stylisation can be employed to create something so very special. In the same way that one is obligated to add at least one film John Woo to the list, the same is true of Johnnie To: and, as you'll see, Wong Kar-Wai, Jackie Chan and Sammo Hung are all to be afforded similar treatment, with plenty of difficult decisions being made along the way. When you consider picking a classic to represent Johnnie To and the Milkyway Image stable, you can immediately reel off a list of potential candidates; with 'Sparrow', 'Exiled', 'Election', 'Running on Karma' and 'Where a Good Man Goes' being a handful of films which could easily grace this list. As with Woo, my short list of To films came down to two, with the excellent 'PTU' just missing out. 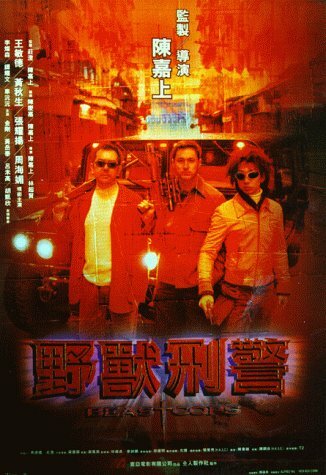 A failed attempt on his life results in a triad boss, Fung (Eddy Ko), gathering together a group of men to act as bodyguards, whilst those who betrayed him are rooted out. To takes this as his starting point and employs his own understated style to approach his subject from a less obvious angle. The machinations of the plot against Fung and the subsequent investigation takes a back seat, with To turning his focus on to the dynamic between these five men. What we end up with is a beautifully rendered portrait of these characters, their motivations and their attempt to manage both the situation they find themselves in and their everyday lives which continue regardless of their commitment to Fung. 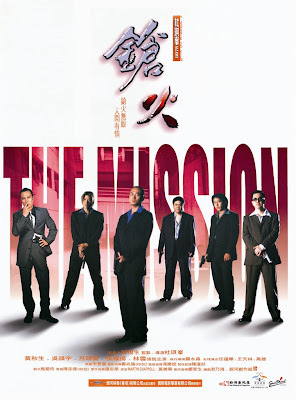 'The Mission' is, quite simply, an absolute joy to watch. It is an almost perfect piece of cinema, which deftly mixes character, drama, humour and action together, with a stupidly catchy soundtrack to boot. 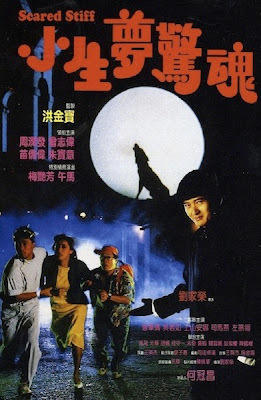 And, I haven't even mentioned the fact that Anthony Wong, Francis Ng, Lam Suet, Roy Cheung and Jackie Lui make up the fantastic little ensemble at the film's centre, with each of them bringing their goods to the table. Another film, another of Hong Kong's big names, another difficult choice. 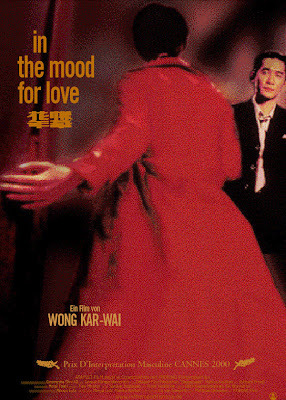 Yep, as much as I love 'Days of Being Wild', 'Ashes of Time', 'Chungking Express' and 'Fallen Angels' (shamefully my copy of 'Happy Together' sits unwatched on a shelf at home), it is 'In the Mood for Love' that gets the spot on the list. 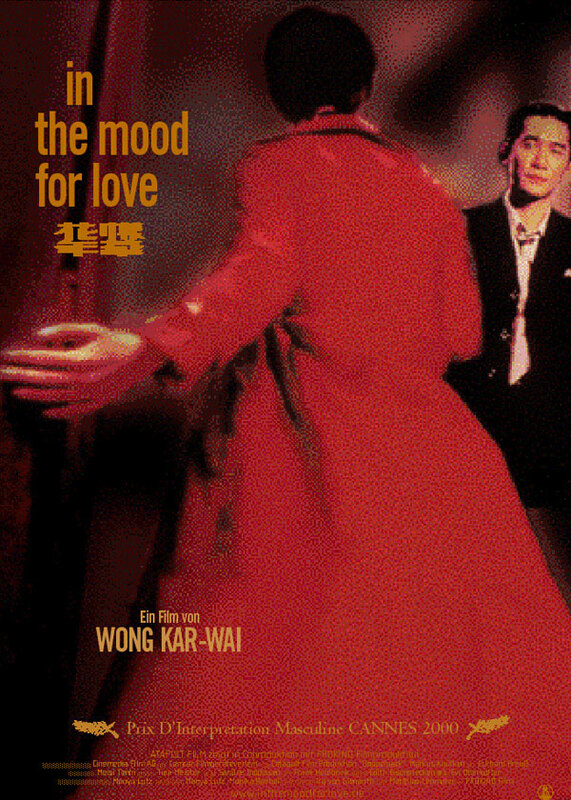 Although Wong Kar-Wai films are very much Wong Kar-Wai films, there's very much a sense of them being a collaborative team effort; he takes care of writing and directing (in this case, producing as well), with Christopher Doyle handling the cinematography, William Chang covering art design, editing and costume design and Kwan Lee-Na does make-up. This foursome have worked together on six of Wong's Hong Kong features and, in my opinion, 'In the Mood for Love' is where they all hit their stride with stunning results. The film tells the story of the developing relationship between Tony Leung and Maggie Cheung, who have discovered that their spouses are engaged in an elicit affair. The story telling is minimalistic, there are as many disconnected vignettes as there are smooth, linear stretches in the narrative, with Wong proving his choreographic mastery of cinema in the distillation of what is shown and what remains unseen. The direction alone is a thing of beauty. And, with our two stars at their most enigmatic, breathtakingly styled according to the mid-sixties setting; Doyle shuns the more gimmicky nature of some of his early work with Wong and delivers a lush, inspiring and sumptuous cinematic dish. The incredible soundtrack also helps. Simply wonderful. Hired to find a massive haul of Nazi gold, lost for years in the desert, Jackie teams up with Carol "Dodo" Cheng, Eva Cobo De Garcia and Shoko Ikeda: what follows is a treat. As already stated, it's such a shame that Jackie was reigned in after this; his performance is great and his sense of comic, and choreographic, timing is spot on. The charmingly goofy narrative holds things together perfectly, allowing all the players to shine, with a perfect blend of comedy and action which still generates chuckles and gasps respectively after who knows how many viewings. It is as close to being a perfect example of "a Jackie Chan film" as any I have seen and the final sequence is, perhaps, one of my favourite sequences from any film. And, now, on to Sammo Hung. Well, more than Sammo; Sammo Hung, Jackie Chan and Yuen Biao - "The Three Brothers". Personally, it's hard not to sit here wistfully staring off in to the distance, feeling an air of nostalgia for a time long past. 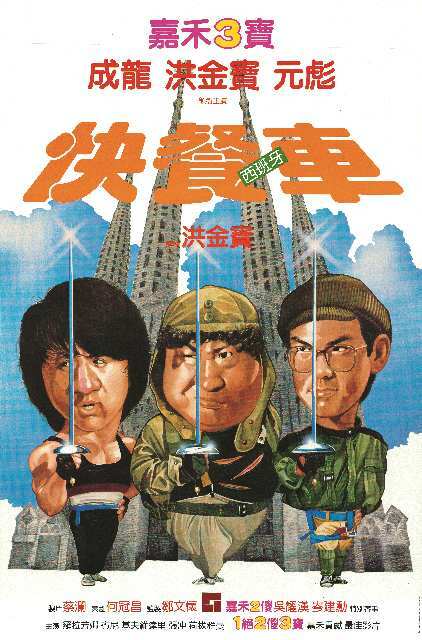 A time when Sammo, Jackie and Biao were at their peak and their collaborations were as entertaining and jaw dropping as anything I'd seen. When thinking about a Sammo film to pick for the list, it came down to four: 'Knockabout', 'Zu: The Warriors from the Magic Mountain', 'Dragons Forever' and 'Wheels on Meals'. As much as I love 'Knockabout' and 'Zu...', I just had to choose between one of the films which featured this trio and 'Wheels on Meals' gets the vote. Jackie and Biao run a mobile, fast-food outlet in Barcelona and find themselves entangled with a pick-pocket played by Lola Forner, a private detective played by Sammo and a bunch of bad guys, including Benny "The Jet" Urquidez and Keith Vitali. The film has action, comedy, an international cast and setting: it raised the bar for Hong Kong productions and, because it was so successful in transposing kung fu to a modern setting, contributed to the decline of the period kung fu film. With Sammo directing, working with Jackie, Biao and other maestros of action choreography, 'Wheels on Meals' contains set pieces which are filled with such imagination, dynamism, inventiveness and commitment to the art form (yes, I am calling action choreography an art form), that they almost defy description. From the initial rumble with Blacky Ko's gang of bike punks, all the way through a finale which features Yuen Biao and Keith Vitali going at it, Sammo fencing and one of the two legendary confrontations that Jackie and Benny Urquidez would have in their careers. A breathtaking tour de force. A classic film. With Chan and Lam apparently at their most effective when working together, they manage to create a film which is filled with well rounded characters and a narrative which approaches the relationship between cops and triads from an interesting, and slightly off-kilter, perspective. There's plenty of drama, humour and a cast which are uniformly excellent, with the three leads being particularly worthy of praise; Anthony Wong firing on all cylinders, Michael Wong being perfectly cast as the straight man who doesn't quite get it and the introduction of Sam Lee. A cracking watch.